While away a lazy afternoon sunbathing on the grand terrace of your contemporary villa with stunning views of the Mediterranean Sea before retreating into the welcome cool of a bougainvillea-covered pagoda for a glass of chilled champagne; set sail from Cap Ferrat harbour for a day’s leisurely sailing around the fabulous Riviera coast and then enjoy a fabulous dinner of fresh seafood at the luxurious Royal Riviera hotel; stroll along the wild and beautiful coastal path from the little port of St-Jean-Cap-Ferrat around the southern tip of the to drink in the wonderful views of the peninsula and then return to your secluded villa for a refreshing swim in your private swimming pool followed by a long and leisurely lunch. 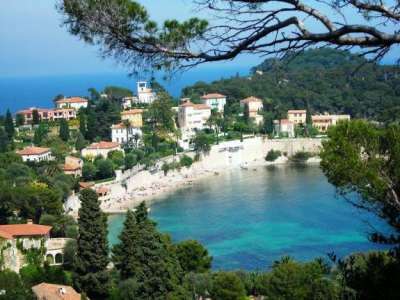 Known as ‘the pearl of the Riviera’ St Jean Cap Ferrat is a beautiful seaside village located on a peninsula jutting into the Mediterranean Sea between Nice and Monaco. Those looking for a Cap Ferrat villa for sale know that they will own property at one of the most exclusive addresses in the world! St Jean Cap Ferrat oozes old-style Riviera glamour; managing to be both glamorous and beautiful yet remaining unspoilt it attracts the rich and famous drawn by its peaceful charm, the wonderful light and the fabulous craggy coastline and deep azure sparkling sea. Looking for a Cap Ferrat villa for sale, potential buyers are spoilt for choice as there is a wide range of properties available depending on your taste and budget. Demand tends to outstrip supply as the exclusive address and air of luxury and prestige means that any Cap Ferrat villa for sale is snapped up quickly and prices tend to reflect this with the top end of the market easily reaching 28m EUR. There is much to see and do in the area. In Cap Ferrat itself, one of the main attractions is the fabulous Villa Ephrussi de Rothschild; a mini palace in the Belle Epoque style, the villa is set high on a hill with dizzying panoramic sea views and filled with a superb collection of Sevres and Vincennes porcelain, Flemish and Beauvais tapestries, 18th-century paintings and furniture. The gardens are even better with magnificent fountains that are switched on to a musical accompaniment every 20 minutes, and impeccably maintained Japanese, Spanish, Florentine, Provençal and rose gardens. Along the coast is the charming town of Villefranche where you can spend a morning exploring the narrow winding lanes, tranquil squares, port and citadel and not forgetting the little chapel Saint Pierre Des Pêcheurs, by the harbour, which is decorated with joyful frescoes by Jean Cocteau. Then go a little further and have lunch in Nice, sitting at one of the many outside cafés and bistros to enjoy a Salade Niçoise accompanied by a glass of local rosé wine. Alternatively go east to Monaco and visit the grand Casino with its plush gold and red décor and dazzling chandeliers before returning to your villa for a relaxing dinner on your terrace whilst enjoying the view of the sun setting over the Mediterranean Sea. The Cap Ferrat villa for sale market tends to start at around 2 - 2.5m EUR for a 3 bedroom modern villa within a private residential area; typically these properties do not have a sea or harbour view but are set in beautifully landscaped gardens and have all modern conveniences, some with private swimming pools and parking. If you are looking for a Cap Ferrat villa for sale with a sea view then expect to pay a minimum of €5m which will buy a 6 bedroom property with private swimming pool and gardens, large sun terrace and private parking. 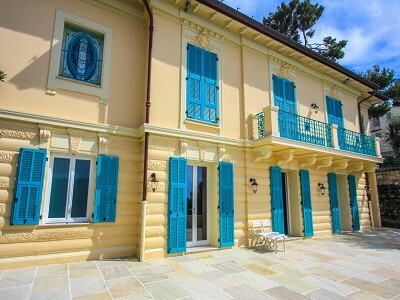 However – if you are looking for something special then perhaps a recently renovated Belle Epoque Cap Ferrat villa for sale overlooking the Mediterranean Sea and the Bay of Beaulieu? Complete with four ensuite bedrooms, superbly equipped kitchen, heated infinity swimming pool, cinema room, sauna and beautifully landscaped gardens, such a property would be in the region of 8m EUR. If you want total peace and privacy, then there are waterfront villas with their own private access to the beach; either modern or turn of the century properties, these villas exude style and luxury and offer investors the ultimate Cap Ferrat villa for sale. The lure of the stylish and elegant Riviera and the prospect of living at one of the most exclusive addresses in the world, mean that villas in Cap Ferrat hold their value extremely well regardless of downturns in the economy or the wider marketplace. Choosing a Cap Ferrat villa for sale - whether a stylish modern villa overlooking the harbour or a splendid turn of the century property with panoramic views of the Mediterranean Sea – is a sound investment.